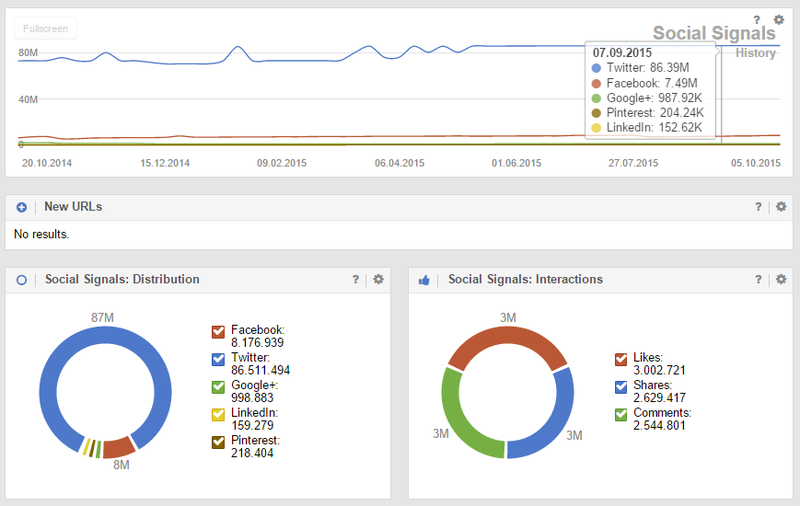 In the social module, the toolbox can now offer a detailed analysis for all URLs. the most recently found interactions. With that, you are able to compare different growth rates and use them for future content creation. 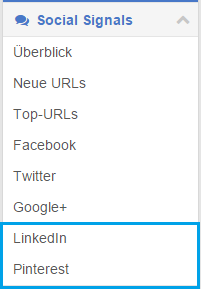 Additionally, we also started evaluating the numbers for LinkedIn and Pinterest. Depending on the orientation of the domain, the target groups are also active on those networks.